This book is a guided journey where the destination is a restored life filled with more energy, strength, focus and peace... a life you used to know and enjoy when you were younger. You may have thought those days were gone and your youthful vitality has been replaced with aches, pains, sickness and fatigue. The good news is you can take charge of your own health and GET YOUR LIFE BACK! Along this journey, you will learn how to LIVE the Wellness Lifestyle. It can be achieved by taking simple, yet effective steps to see immediate changes in your body, mind, emotions and your spirit. We are whole beings. When one area of our life suffers, all areas are affected. That is why the power team of Dr's. Mark and Michele Sherwood have written this book for you. 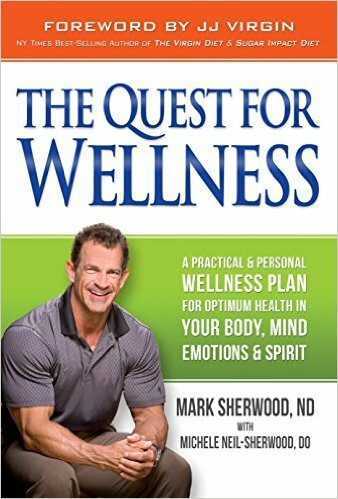 The Quest for Wellness is not only for those suffering with long–term illness, it is a powerfully simple and balanced approach for everyone who desires to live their life with optimum health, and peak performance. Remember, the quest for wellness is a journey, but it is one that is worth taking. The rewards are literally life–changing. 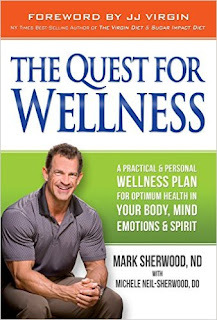 Author Mark Sherwood says "You can become well again and go from exhausted to energized... Let me prove it to you!" Think body, soul (emotions and mind), and spirit. Surround yourself with people who are what you want to become. My thoughts; THE QUEST FOR WELLNESS is a very good book. I expected it to be sort of a bunch of tips to help you get well. Instead it is inspiration, which is good for encouragement. I love the encouragement he gives, and that he's a Christian so it applies to all areas of your life. This book does minister to the reader as well. It shows how to set boundaries with people and within your company/business. How to start getting well, physically. Step one, move more! Yes. That is where I am. This is a book I will be putting on my keeper shelf so I can read and reread parts of it. Definitely 5 stars. 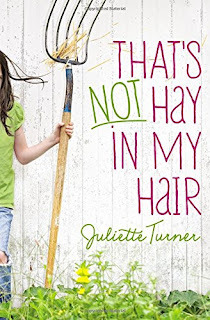 Laura Evans moves to Plymouth, Nebraska, to take care of her aunt and her paralyzed sister. Dr. Jay Andrews has come to Plymouth to escape his work among those wounded during the Civil War—only to be faced with a paralyzed patient. Laura and Jay clash as they face fears from their past. 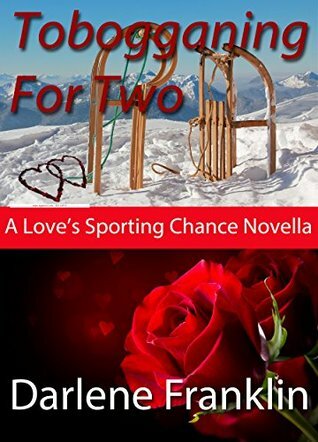 Will a midnight toboggan ride bring them together, or push them further apart? 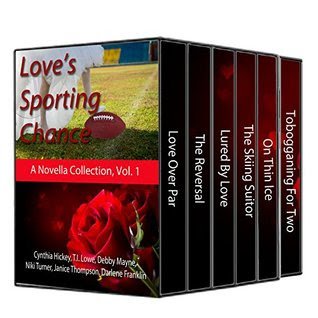 My thoughts: TOBOGGANING FOR TWO is part of the Love's Sporting Chance collection written by different authors. Laura is a caregiver for her paralyzed sister, but she is unwilling to let Eliza try to take care of herself. It makes her upset when Dr .Jay tries to take care of Eliza and encourage her to work to regain some independence. Jay is dealing from war-induced demons of his own, and went to Nebraska to escape them. I didn't grow to care for these characters as much as I would've liked and the story didn't seem resolved. Too man y loose ends. It is a sweet romance though. 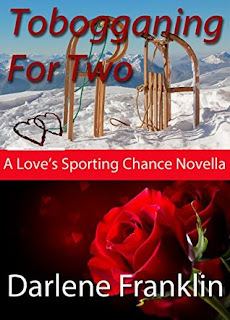 If you like historical romances then you might like TOBOGGANING FOR TWO. 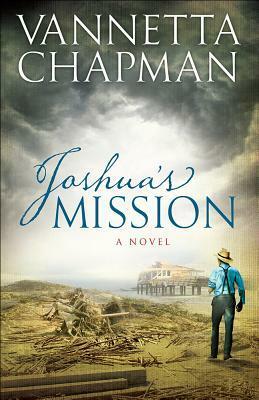 Joshua's Mission is a new standalone novel in the Plain and Simple Miracles collection from popular author Vannetta Chapman. These stories of love and family and Amish community in Oklahoma tell of the miracles that can happen when lives are lived in service to God and to one another. Joshua Kline travels from his farm in Oklahoma to offer aid to an Englisch town on the gulf coast of Texas after a category 4 hurricane has ravaged the area. He brings his brother with him, who needs a change of environment. The last thing he wants for Alton is another brush with the law. He is pleasantly surprised when he hears that Becca Troyer, the bishop's granddaughter, plans on joining their team. Joshua's Mission is a story of love, forgiveness, and the grace of God that carries us through even the worst situations. My thoughts: JOSHUA'S MISSION is another Wow, what a story! I wasn't sure Ms. Chapman could top Anna's Healing for a story that would stay with the reader long after the pages of the book were closed but JOSHUA'S MISSION didn't only come close, it surpassed. Joshua and Charlie are the two main characters, though there is a female lead, Becca. The main story is not the romance, but more about Joshua and Charlie. I loved this story, felt the power in the hurricane,and while I enjoy the hurricanes and the force of them when they blow through northern Arkansas, that is as close as I've ever been and now I'm quite sure I don't want to experience one as Charlie did. Wow. If you like Women's fiction, Amish fiction, romance, contemporary -- Ms. Chapman writes all genres -- including mystery -- with apparent ease and very well. I absolutely loved JOSHUA'S MISSION and hated to close the pages of this book. I'm looking forward to Ms. Chapman's next book. 5 stars. My thoughts: Wow, what a story! 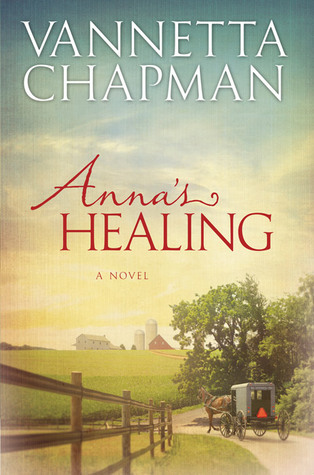 In Ms. Chapman's trademark style, ANNA'S HEALING tells the story of a twenty-four year old woman who survives a devastating tornado--but is forever changed. When the tornado leaves her spinal cord injury, she is paralyzed--and there is nothing that can be done. Except... is there? Jacob is a wanderer, going from Amish community to Amish community as a migrant worker. He was planning on going to Pinecraft Florida when fate (or was it Gotte) led him to Oklahoma where he worked for Anna's onkle. Jacob is there when the tornado comes, and is able to save Anna's life when the second tornado comes--but even he is not the answers to their problems. A spellbinding, page turning story of one woman's journey. This is more women's fiction that romance, but there is a little romance included in the pages. A great read that will stay with you long after closing the pages of the book. 5 stars. 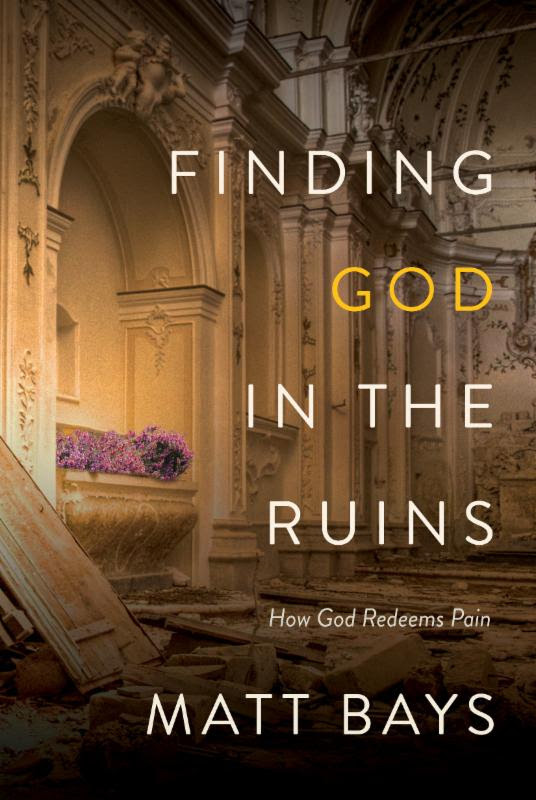 In the tradition of Donald Miller comes the fresh voice of Matt Bays, offering hope to those who have experienced deep loss or pain as well as those who crave more than trite answers about God and suffering. Our world is in massive turmoil. The suffering are desperate for authentic hope and real redemption. Yet the church often responds with tired clichés that shrink our understanding of God rather than enlarging it. Matt Bays understands. This book was birthed from his own deep struggles in a dysfunctional home. With pastoral wisdom, personal transparency, and unforgettable stories, he shows that true redemption is far more powerful than the temporary fixes of sanitized Christianity. Best of all, he leaves readers with a much bigger God than the one they thought they lost in their pain. When the reality of your pain doesn’t line up with what you’ve been taught in church, then what? While there are some things in this book with which I might take issue (misinterpretation of scripture, for instance), that doesn’t keep me from experiencing awe and wonder that this book was ever written in the first place. You see, many people – most people, if you really think about it – who have experienced the depths of depravity, depression, and disillusionment that author Matt Bays shares between the covers of this book . . . they just don’t make it back. Sin, and man’s inhumanity to man, and just walking about in a broken world has not merely hollowed them out . . . it has gutted them, and left them writhing in pain and misery. And that becomes their life. By God’s grace . . . by God’s redemption of every aspect of Matt Bay’s life . . . Matt has not only “survived.” He has taken the next step. He has chosen to live, not to merely exist. He has chosen to risk opening himself up to more pain, if it should happen along. He has chosen to love someone who might wind up abandoning or abusing him again. He has chosen to reach out to others, when most would be found curled in the fetal position. The story is not pretty. It’s not a nice and neat parable, with a homiletical application to finish it off. But it’s a story that needs to be told, and a story that needs to be heard. Because God is still in the redemption business. And business is good. Business is booming. Imagine a life where gratitude overpowers anger, hope overcomes despair, and hunger for God replaces indifference to him. That’s what redemption looks like. 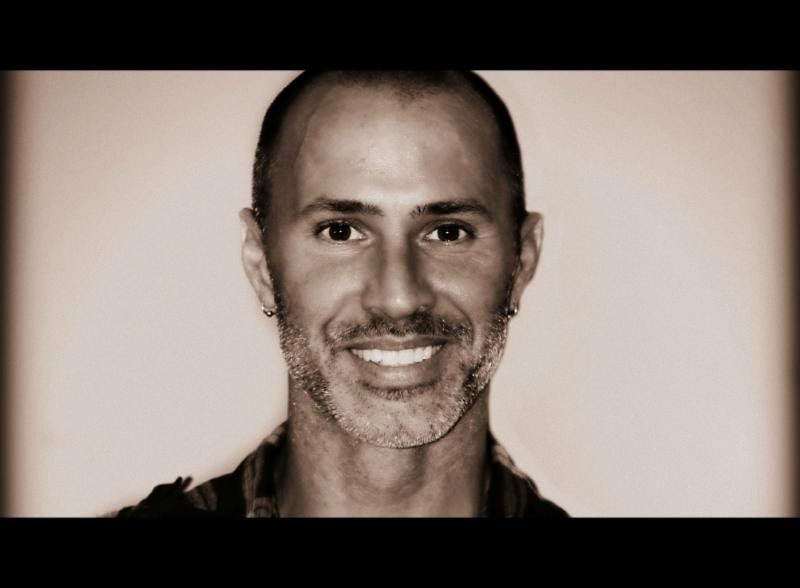 Matt Bays is a writer, speaker, and musician with a passion to call people out of their hiding places; calling forth others' stories is the hallmark of his spiritual vocation and purpose. In ministry for twenty years, Bays was most recently the worship pastor for Northview Church in Carmel, IN, recently noted as the second fastest growing church in America with more than 8,000 attending each weekend. Bays is also a singer-songwriter, as is his wife, Heather, herself a sought-after studio vocalist in Indianapolis. Married for twenty years, the couple have two teenage daughters, Chloe Rose and Evalee Mae. My thoughts: THE GOODBYE BRIDE is a twist on The Runaway Bride, a movie of years past. She has run from two fiances, leaving them both, basically at the altar. And now she is in a wedding dress, wearing designer shoes--on the bathroom floor in a diner, but she has no memory of how she got there. All she knows is she's supposed to marry Zac at 5:45 and he'd be frantic. She calls him... but is stunned when he tells her she left him seven months ago--and they broke up! Still, Zac is a dear, going above and beyond to rescue Lucy from herself even when she doesn't remember anything. But when her memory returns, it might mean the end of everything. It was great getting reacquainted with the Callahan family, and this book is one of those rare books that cross my path that I pick up and a few hours later I close the last page and sigh--what a sweet story. And I kind of hate to pick up another book because what if it isn't so good? 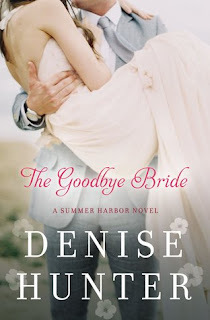 I've said this before, but Denise Hunter is one of my top five favorite contemporary romance authors. If you haven't read any of her books pick one up and read it. My only complaint about this one is that there is some "soft swear words" . I know this won't bother most readers, but if you are offended by using some seemingly 'innocent words' you can consider yourself warned. The words bother me, but I kept reading because she does tell a good story. 4.5 stars. 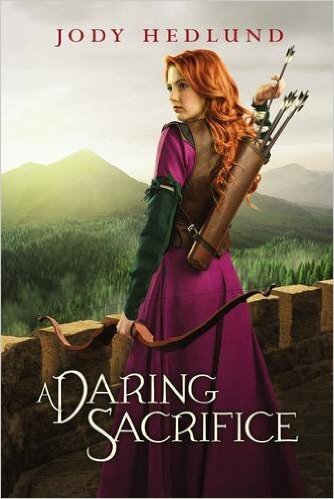 In a reverse twist on the Robin Hood story, a young medieval maiden stands up for the rights of the mistreated, stealing from the rich to give to the poor. All the while, she fights against her cruel uncle who has taken over the land that is rightfully hers. Forced to live in the woods and hide with the poor people she's grown to love, she works to save and protect them, but she never anticipates falling in love with the wealthy knight who represents all she's come to despise. My thoughts: (reviewed by Jenna) A DARING SACRIFICE was a very good book. Juliana when s he was ten, her father was overthrown by her cruel uncle. When she was fifteen her father tried to overthrow her uncle and Juliana has hated any sort of nobleman after that. This was really a page turner, and I loved the sparks. It's one of the romances where the hero and heroine start out hating each other but then grow into love. I'm putting this book on my keeper shelf. 5 stars. My thoughts: ON LONE STAR TRAIL isn't Ms. Cabot's best novel. Unlike the first book in this series, especially, the characters in this book were flat, undeveloped and... I couldn't care for them. TJ's wife died and he's living her bucket list for her, but without her. He's very much grieving and very much not ready for a relationship. And along comes Gillian who is recovering from an accident that cost her career and she plays two men along until the end of the book. I also had some questions about the realistic-ness of a motorcycle accident that rendered TJ stranded in town. I admit I've never been in a motorcycle accident, but I have ridden them back in my teenage, I'm invincible years, and those things are heavy. Not only that but if you were to be flipped over a guard-rail - and tumble down an incline, you'd be hurt more than a bruise or two. 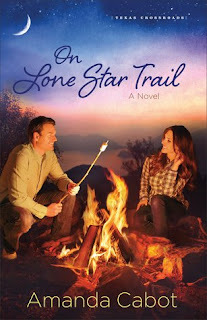 If you love romantic fiction and read the first two in the series, you will want to finish it out with ON LONE STAR TRAIL. The other two books were At Bluebonnet Lake and In Firefly Valley. 3 stars. A charming and heartwarming true story for anyone who has ever longed for a place to belong.“Anne of Green Gables,” My Daughter, and Me is a witty romp through the classic novel; a visit to the magical shores of Prince Edward Island; and a poignant personal tale of love, faith, and loss. My thoughts: Oh, my, word. 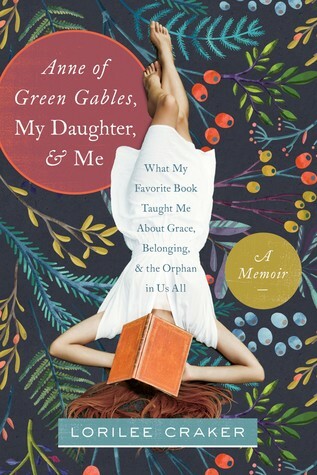 .I absolutely loved ANNE OF GREEN GABLES, MY DAUGHTER, AND ME. Let me preface this to say that I do not - as a rule - even remotely like memoirs. And really, that is what this is. But I think Lorilee and I must be kindred spirits. Because while I was not adopted, I came from an Amish family background (very similar to Mennonite), my sister was adopted (and I heard all those adoption stories -- and you know they hurt biological children, too. Especially the comments like "Your parents got to pick out your sister. They had to put up with you." Oh, like I am somehow deficient because I wasn't the 'chosen' child?) I would have loved to have gotten to know Lorilee in Grand Rapids when we lived there, But that aside, she is funny! Who doesn't love Anne of Green Gables? And an adoption story combining her retelling and interpretations of scenes in Anne, mixed with similarities and differences in her own experiences were just simply spellbinding. I highly recommend ANNE OF GREEN GABLES, MY DAUGHTER, AND ME to anyone who loved Anne, who was touched by adoption, or if they love memoirs (because this one clearly trumps them all.) Absolutely fantastically wonderful book. 5 stars. Interview with Mesu Andrews and giveaway!! !